One of the best ways to protect your privacy is by opting for an efficiently working IP hider tool. These IP hider tools provide you with the option of masking your identity over the net and in this way protecting your personal files and passwords. In case that you are looking for the best IP hider tool, here is a list of top 7 IP Hiders that will make your time on the internet as safe as possible. When looking for a tool to hide your IP address, you are looking for something that is not only great at its job but is also equally easy to use. One tool that certainly meets these parameters is the Easy Hide IP. The IP hider comes with more than sixty high speed servers. These are used to protect the identity of the user from any third parties, such as hackers. Some of the servers of Easy Hide IP are in- United States, Canada, Brazil, United Kingdom, Spain, Germany, Switzerland, Denmark, Portugal, Netherlands, France, Luxembourg, Russia, Japan, India, Singapore, and Australia. 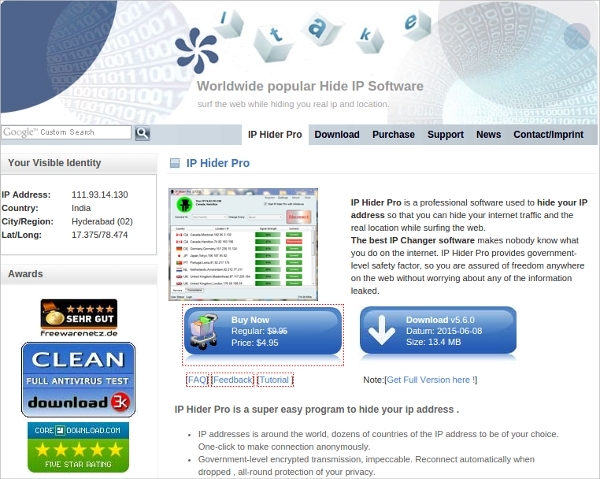 One of the best tools on the World Wide Web used to hide your IP address, identity as well as original geographic location is the IP Hider Pro. With the IP Hider Pro you can surf the net freely, without the fear of being illegitimately exposed. You can choose your own application that will help you hide your location and IP address. You can also hide the source and the amount of your traffic from third parties. within small intervals of One to Sixty minutes. 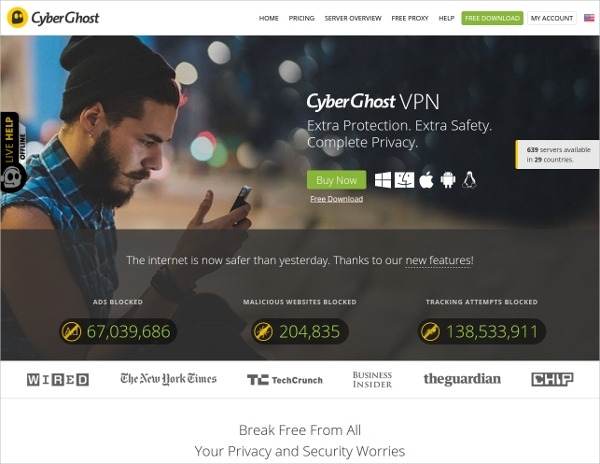 When it comes to the top 3 IP Hider Tools, there is no way that Cyber Ghost VPN can miss a mention on the list. It is considered as one of the best tools that hides your IP address and your identity on the net. It not only hides your IP address but also all your data and location. This is one of the best IP Hider tools for window users and comes with both a paid and a free version. You do not need to create any account to use the tool. 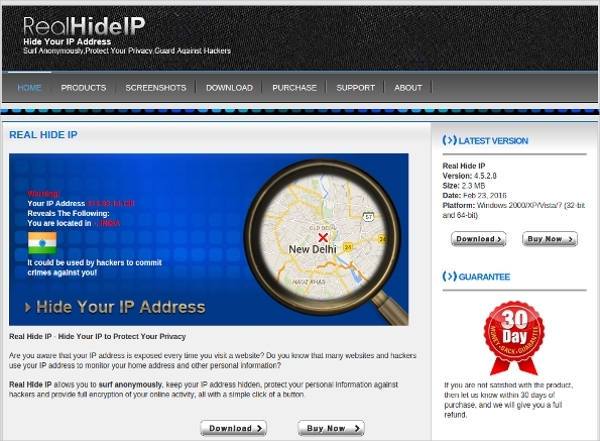 The Real Hide IP makes a strong place in the top 7 list of IP hider tools. or any other third parties. The Tool can also be used to bypass internet censorship. If you are looking for the easiest functioning tool to protect your IP address and online data, Hide the IP extends you with the very opportunity. It is an one click solution that you must get your hands on. The tool is mainly available in three versions- the Basic version, the Professional Version and the Platinum Version. Some of the other features provided by the superior versions, include- Spyware or Malware protection and Smart Firewall Protection. 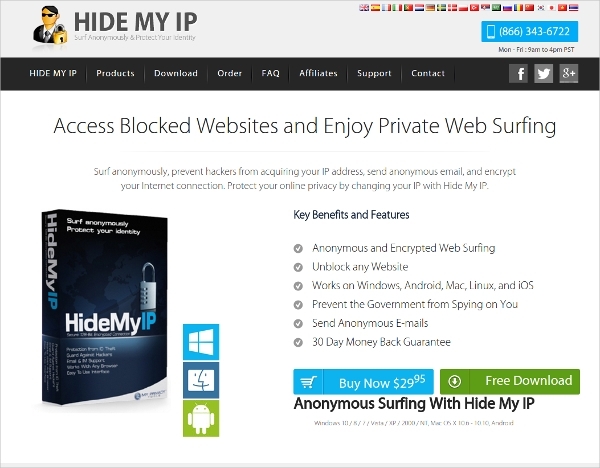 One of the best ways to keep your IP address protected is by using Hide My IP. One of the most unique services extended by the tool is its IP rotation service. There is an option of configuring the proxy service. You can choose the applications you like, to use the Hide My Proxy service. 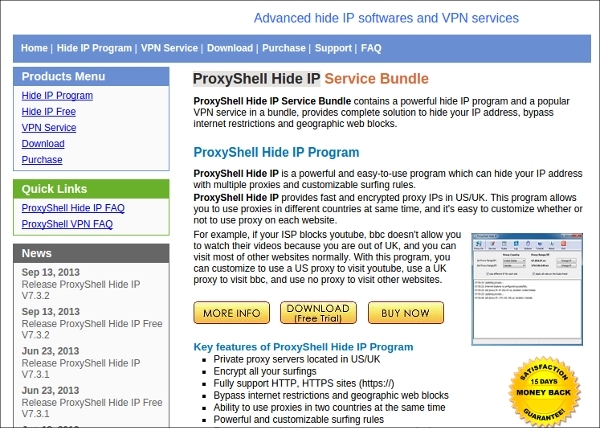 When speaking of feature rich IP hider tools, one that deserves a special mention is the Proxy Shell Hide IP. The tool also has multiple proxies that save the IP Address and your online data. All these tools are among the best IP Hider Tools that the online market has to offer. Choose wisely and you will be ensures with 100% security of your identity online.